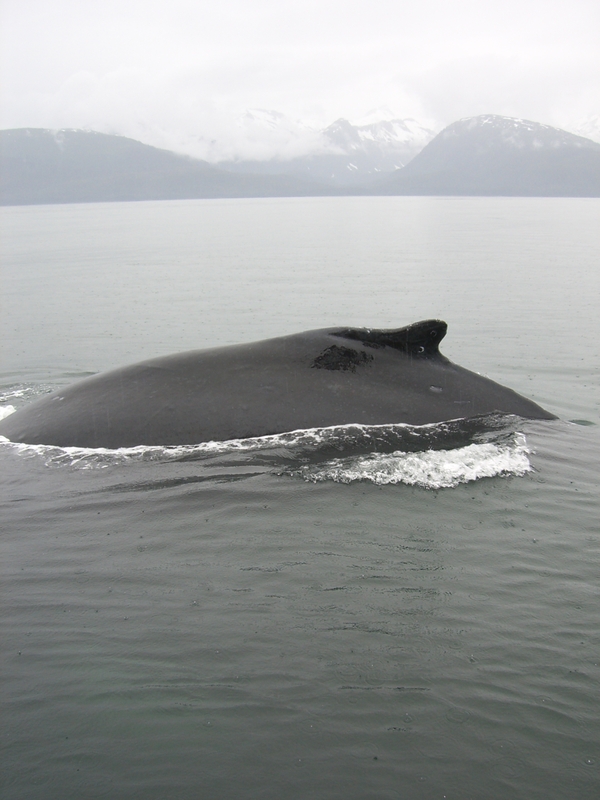 Most of my time with bioacoustics, thus far, has been with playing sounds – my master’s work with an active acoustic tag – or with identifying odontocete, or toothed whale species, in glider data (typically known as high- or mid-frequency vocalizations). For my PhD, I’ll be expanding what I know about whale acoustics and looking at baleen whales from glider and float data as well. I started into this the last few weeks and it has been fun, but definitely feels like a step back in time trying to look up literature and see what exactly I am hearing in the data – I’m not used to working with low-frequency sounds. What do I mean with low- vs high-frequency sounds? These labels are based on human hearing (of course). Humans (babies!) can typically hear from 20 Hz (hertz) to 20 kHz (kilohertz…hertz*1000; 20 kHz = 20,000 Hz). As we get older we start to lose hearing on the higher end. But marine mammals vocalize both below and above our hearing range. The low/high delineation is “generally” accepted at 1 kHz, and typically baleen whales vocalize below this, and toothed whales vocalized above this. But remember, this is just USUALLY. There are always special cases that don’t follow the trend, and its all relative terms when calling things low and high. So since some whales make sounds below my hearing range, and some make sounds above, how do I hear them for analysis? Well first of usually I am identifying sounds by looking at them, at a spectrogram (we’ve posted those before right?). Then sometimes I need to listen AND look to identify what the sound is, or gather more info about it. Wonderfully there is a work around. For really LOW sounds, you can play them faster, and then that increases the perceived frequency, so you can hear it. Vice versa, for really HIGH sounds, you can play them at half speed, which changes the perceived frequency, and then you can hear them. Does anyone remember Yakbaks? Speeding up your voice makes you sound like a chipmunk, slowing it down makes you sound like…a whale? You’ll see that on the spectrogram it says *recording plays at 6 times normal speed for better listening. But this one (http://cetus.ucsd.edu/voicesinthesea_org/species/beakedWhales/cuviersBeaked.html) is played at 1/10th the speed so you can hear it! Since getting back to Corvallis, the glamour of my research has decidedly declined. However, as you may know, only a small part of bioacoustics research takes place in the field – mostly it takes place in front of a computer. And that’s where I am now. This month I’ve been looking through some recordings from three different deep-water Atlantic mooring sites to compare drivers and levels of noise. Passive acoustic archival research is different from other types of data collection because we (the researchers) are not out in the field during recording. 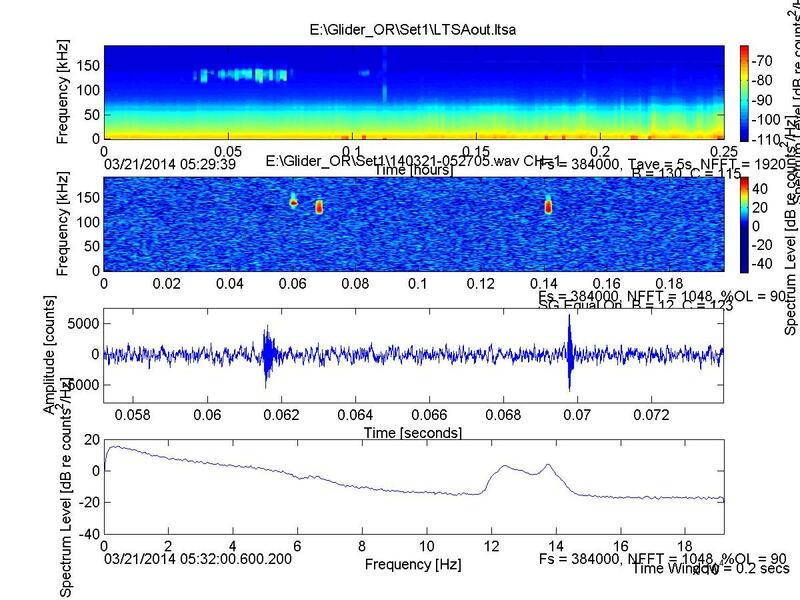 Our instruments record all sounds and then part of the analysis process is looking and listening to see what went on. Paging through years of recordings can be a tedious process, but from time to time I find something unusual and exciting like this noise recorded on Halloween night! I did get out of the office for an afternoon this week to talk to the Girls in Engineering and Marine Science Camp (GEMS) hosted by the Oregon Coast STEM Hub. The two-day camp was organized to expose middle school girls to STEM-related careers. I spoke to the group towards the end of the camp, and despite being exhausted from two full days of science and an aquarium sleepover, they were a great audience! This blog post has NOTHING to do with bioacoustics. Or noise. Or marine mammals. Or even terrestrial mammals (ok, well technically humans). 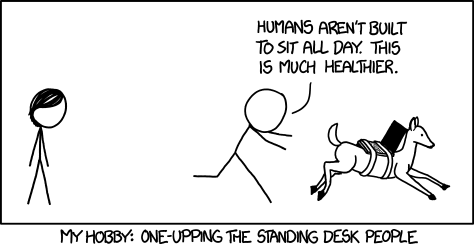 This blog post is about the awesome-ness that is my stand up desk. A lot of folks have been asking me about it lately so I figured, why not share the joy? I’ve had my stand up desk for about a year now, made from this IKEA hack for about 22 bucks. I am proud to say no less than 5 of my closest friends and colleagues have since also made themselves some version of this (I’m so hipster, its the Oregon way). Many grad students in life science, ecology, marine science, wildlife-y fields pursed such a career path because they love being active, being outside, etc. Look at any of the bio’s of ORCAA students, for example. But what do we actually do most of the time? Sit at our computer. I have far too much energy to just sit at a computer all day! So now I’ve got this sweet set up. 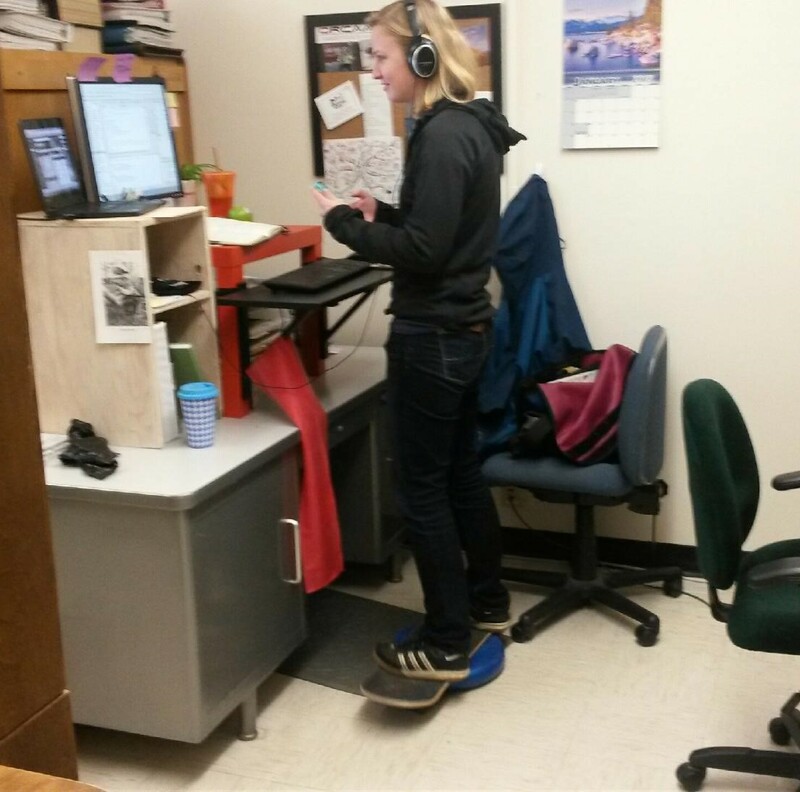 Not only do I stand at my desk, but I just added a balance pad for EXTRA muscle engagement. I can’t take credit for this, fellow grad student Thaddaeus Buser passed on his balance pad obsession/wisdom to me. And now I pass it to you. Don’t you get tired all day? Yes…at first it was really hard! But it gets easier. What if you want to sit? Well I don’t have one of those fancy up and down desks or a nice tall chair (that is what dreams are made of), so I take my laptop or some reading material to the library, or a coffee shop, or wherever. It gives me a change of scenery (which I like) plus a little rest. Nope. I actually find it much easier to focus because all my pent up physical energy an outlet now. I will admit certain work activities are easier sitting (writing) vs standing (Matlabbing), but again, that’s what all the little work spaces around campus are for! In the midst of the summer and early fall when I was traveling a bunch and doing field work, I remember thinking how nice the term would be to be in one place for a while and get some analysis/other work done. What I didn’t realize was how unexciting my life would be for blog posts…. I guess excitement depends on your interests, though, because for me there have been SOME exciting moments standing in front of my computer. I’ve spent the last month putting my master’s on hold, instead analyzing acoustic data collected from one of our gliders that was deployed back in March, and then deploying and analyzing another glider all within the month of October. Want to see what I found? Good. I was going to put in the images anyway. Here’s a Stejneger’s beaked whale click. 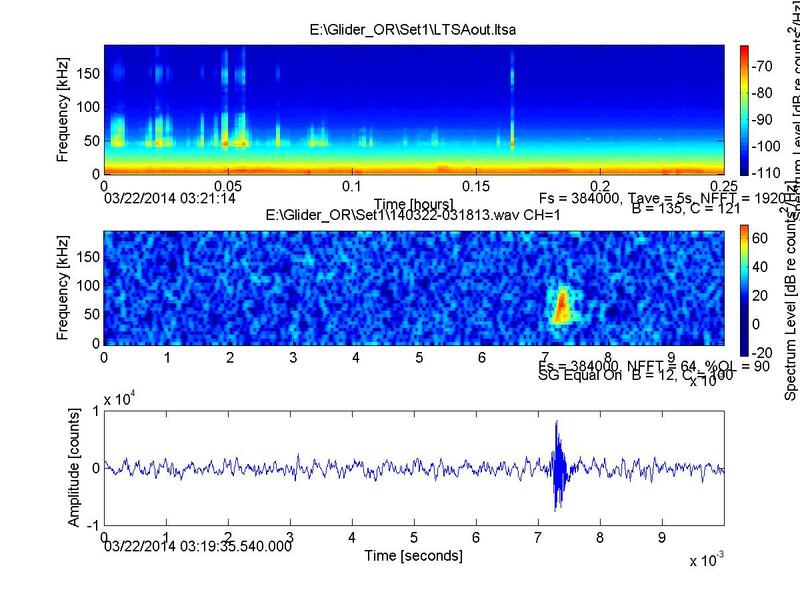 The top image is a long term spectrogram, or LTSA, that shows 15 minutes. All the little bits around 50 kHz are beaked whale clicks. The middle spectrogram just shows one click during a fraction of a second, and the bottom shows the wave form, or the amplitude of the click. From the March deployment, the excitement came in the form of TONS of beaked whales. Like so many. Like all the time. Including the super weird looking Stejneger’s beaked whale (Mesoplodon stejnegeri). I can tell the species by what frequency the click is at, how much time there is between clicks (inter click interval, aka ICI fyi), and the duration of the click. They are all unique features for this species of beaked whale, which I know thanks to other people confirming that by combining visual and acoustic data like was done by theses lovely folks at Scripps. Here’s two porpoise species detected together – harbor porpoise (the two higher frequency red specs) and Dall’s porpoise (the middle, slightly lower frequency). All together a bunch of those clicks make up that light blue section in the LTSA on the top. 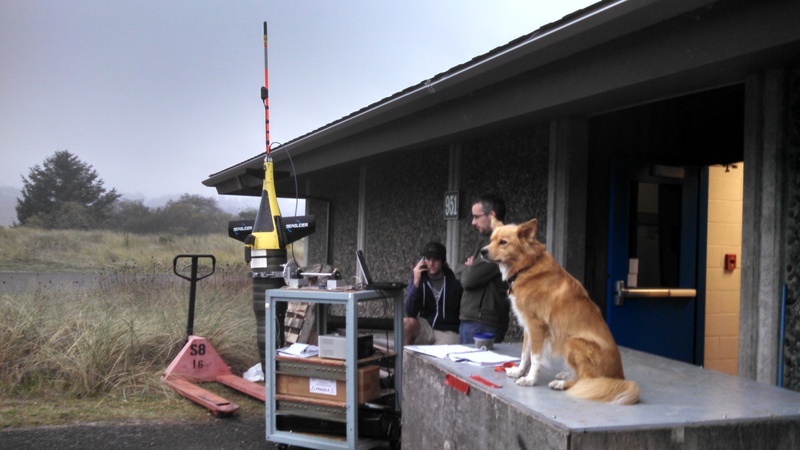 The March deployment also brought excitement through porpoise recordings! Did I mention that glider was the first of its kind to record ultra high frequencies? We used a 394 kHz sampling rate, which means we could detect vocalizations up to 196 kHz, which is where porpoise and a few other odontocetes (toothed whales) vocalize. Most equipment doesn’t sample that high (memory gets filled too fast) so this was pretty neat-o. I’m a big fan of looking for these ultra high frequency encounters because they are so obvious in the upper part of the LTSA, far above the background noise. And like I mentioned, I did go out in the field one day. We deployed one of our new gliders for a few days just outside of Newport in early October, and I went out on the recovery. 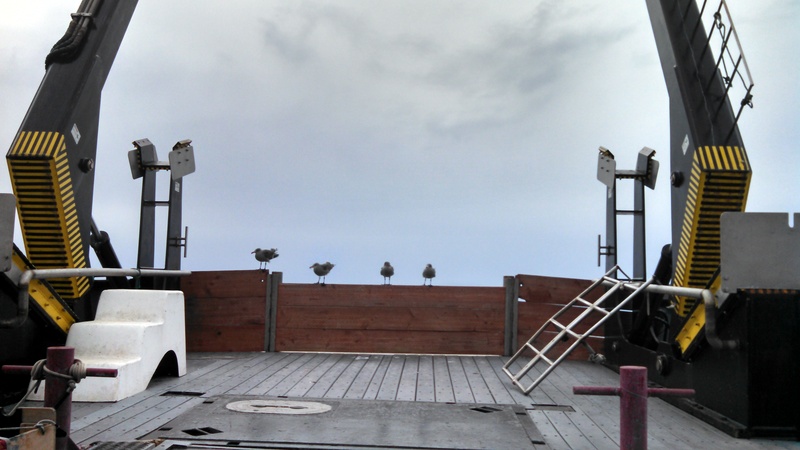 I took this one super exciting picture of these gulls on the back of the ship. You’re welcome. Piper helped Holger and Alex prep Will the glider before he got deployed in early October. These gulls agree with “no excitement November”. Until I threw pistachio shells over the side. Sadly this is the only picture I took of the whole glider recovery. What’s so exciting (to me and possibly the ~twelve people who study non-song communication in humpback whales) is that based on first glance at least one call type – the SEAK Whup call – is remarkably stable over time! I’ve detected this vocalization in every data set currently in my possession. I want to be clear, that these findings are anecdotal at this point. I’ve only just started quantifying my samples, and I have a long way to go before everything is sufficiently measured and described. 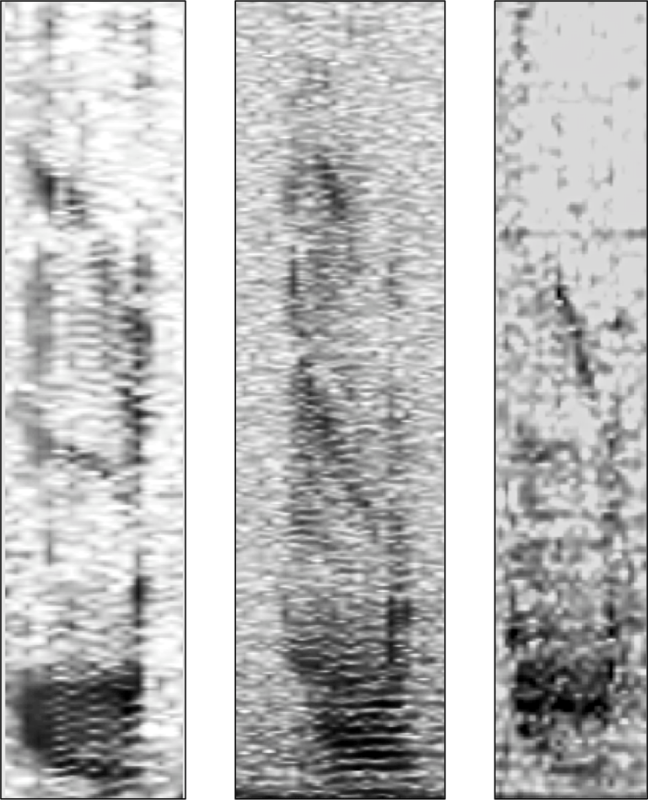 But from first glance would you agree that these spectrograms look pretty similar?